Welcome to GOO Central’s product catalogue! Thank you for your interest and valued business. Enjoy your stay. Our catalogue features the complete range of Screen GOO products. Browse away! No queues, no rush hour traffic to battle with, no pushy salespeople. Remember, we are stocked all year round to ensure you get your GOO easily, safely and quickly. There are now a total of 17 different SCREEN GOO coatings, up from 13, spread across FOUR categories, up from three. The FOUR categories are: 1) Basic, 2) 2.0, 3) Classic and 4) Premium +20. Click here for table of all coatings, complete with gain specs and projector requirements (p.s.f. of screen area). 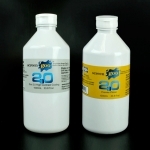 2.0 is the latest addition to the GOO family and set to redefine long established boundaries of projection screen coatings. More here. GOO 100% Acrylic Premium Primer (GAP), a 2.0 product, is the default primer for ALL GOO projects and will replace all off-the-shelf primers with immediate effect. More here. A fifth category, Select, features Screen GOO specialty products: Colours, GOO Kit and Ultra Black. GOO Colours is our range of professional grade projection paint in 16 decorative colours; to be used with Classic Reference White Finish Coat. Indent only. Click here for more. The gain specs of well-known Classic category coatings: Reference White, High Contrast, Max Contrast and Ultra Silver 3D have been revised. Click here for latest gain specs of all coatings. From our stocking hub in Singapore, we either FEDEX OR air-freight GOO, door-to-door, to Brunei, Cambodia, Indonesia, Malaysia, Myanmar, Thailand and Vietnam. Alternatively, we will be happy to work with your appointed forwarder. We accept and bill in Singapore $. For orders outside of Singapore, full payment (ALL bank charges inclusive) must be remitted via telegraphic transfer before goods will be expedited. For walk-ins and local customers, local bank transfers via PayNOW are preferred. Our UEN is: 200907865M. Otherwise, cash and crossed cheques are also accepted. Unsure of which GOO to buy OR how much you need? No worries, click GOO FAQ or contact us with your questions. Already know what you need to buy to get Gooin’? Contact us to purchase GOO or click here for a quotation.